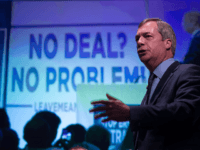 Nigel Farage and Donald Trump discussed the U.S. giving its backing to a clean, “No Deal” Brexit at recent CPAC conference in Maryland. 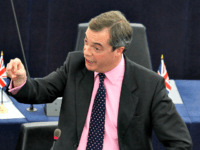 Nigel Farage has told the European Union (EU) parliament that Theresa May’s deal “will fail in Parliament and probably fall by a very big margin,” calling it a terrible deal for the UK. 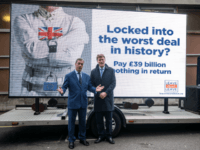 “Mr Brexit” Nigel Farage has launched a fresh attack on the Prime Minister’s Brexit deal, encouraging voters to reject it. 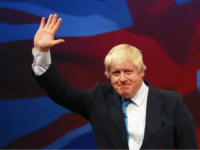 After backing the Brexit campaign and stepping down from the cabinet in protest of Theresa May’s “soft” exit plan, Boris Johnson is the UK’s most popular politician according to new polling. 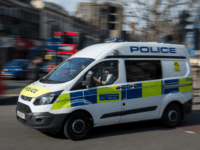 London police have launched their fifth murder investigation in a week, after a 16-year-old boy died in a suspected stabbing, and extra officers were taken off leave and deployed to the streets. 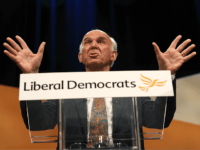 The Electoral Commission has cleared the UK Independence Party (UKIP) of breaking rules in 2015 and 2016, after a two-year investigation. 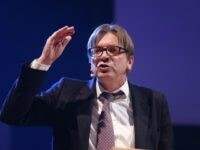 A pro-Brexit group backed by Nigel Farage is building a £5 million war chest to take on groups pushing to overturn the 2016 referendum with funding from pro-open borders billionaire George Soros. 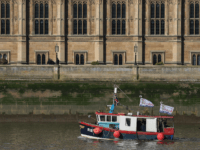 More of the British public view Nigel Farage and Boris Johnson as a “leader” of people who back Brexit that they do Theresa May, the Prime Minister supposedly leading the UK out of the European Union (EU). 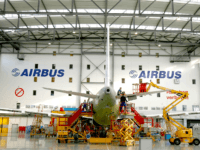 Brexit leader Nigel Farge has said Airbus’ intervention in the Brexit debate is politically motivated after the aviation giant threatened to pull out of the UK unless business ties with the European Union (EU) are maintained. 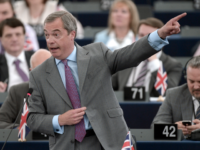 Nigel Farage has blasted the European Parliament’s chief Brexit coordinator for a “baseless lie” and demanded that he retract claims the former UKIP leader used “Kremlin money” to “deliver Brexit”. 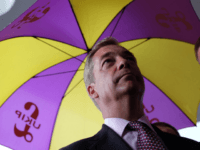 MEP and Former UKIP leader Nigel Farage has spoken out after claims he could join Northern Ireland’s Democratic Unionist Party to win a seat in the House of Commons. 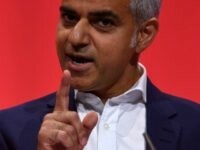 Nigel Farage has slammed London Mayor Sadiq Khan for “virtual signalling” after he “welcomed” the announcement of a visit by President Trump by urging people to use their “free speech” and protest. 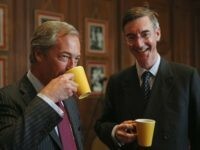 Brexit leader Nigel Farage has backed Tory MP Jacob Rees-Mogg as the next Conservative Party leader and a possible Prime Minister to lead the UK out of the European Union (EU). 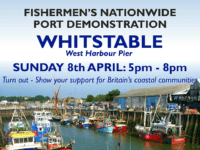 Brexit campaign leader and former UKIP chief Nigel Farage is joining a symbolic boat-burning in Whitstable as fishermen protest their “betrayal” by Government in the Brexit negotiations. 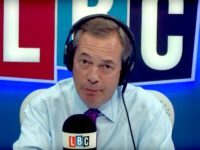 “Political correctness has directly led to the murder rate going up in London,” former UKIP leader and Member of the European Parliament (MEP) Nigel Farage has argued. 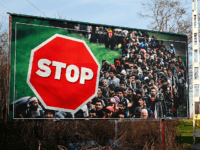 Hungary’s governing party has launched an anti-mass migration billboard campaign in the style of Brexit leader Nigel Farage’s famous ‘Breaking Point’ poster from the EU referendum. 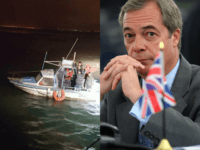 Brexit leader Nigel Farage was forced to hit back at a senior political editor who suggested the fishing industry was economically insignificant and should be sacrificed to the European Union at the expense of thousands of jobs. 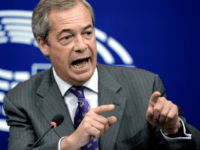 Nigel Farage has said the European Union (EU) has “met its match” in U.S. President Donald J. Trump, slamming the bloc’s “hypocrisy” for criticising his new trade tariffs whilst erecting thousands of their own. 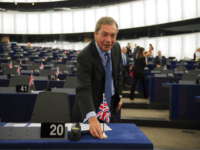 Nigel Farage has urged Hungary and Poland to keep criticising and “rebelling” against the European Union (EU), as the bloc’s unelected leaders use authoritarian sanctions to suppress elected governments and their policies. 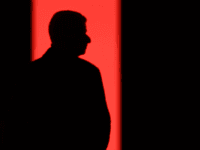 ‘Mr. 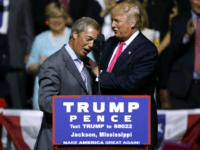 Brexit’ Nigel Farage has said Donald J. Trump has exceeded all expectations as U.S. President and urged Americans not to judge the UK by the anti-Trump actions of London Mayor Sadiq Khan. 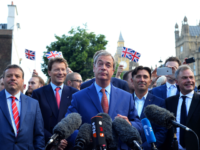 Former UKIP leader Nigel Farage has said there is a new plot to reverse Brexit, with leading Tories backing giving largely pro-European Union (EU) 16 and 17-year-olds the vote. 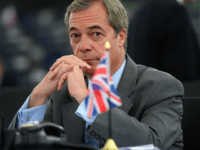 Britain will be plunged into its most acute constitutional crisis since the Second World War if Theresa May allows Brexit to be thwarted or watered down, former UKIP leader Nigel Farage has said. 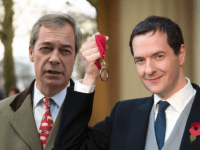 Brexit campaign leader Nigel Farage has welcomed mainstream exposure of the ‘Soros Web’ after a plot by the billionaire globalist to thwart Brexit was revealed by The Telegraph newspaper. 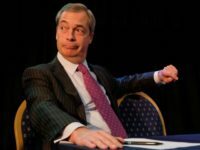 Brexit campaign leader Nigel Farage has triggered a mass meltdown of verified liberals on social media after agreeing with President Trump that he is not a “feminist”. A former ambassador to the U.S. says the downturn in relations between the British establishment and President Trump has undermined the chances of the “very big, very powerful” trade deal he offered to Brexit Britain from coming to fruition. The European Commission is debating whether or not to extend a so-called ‘transition period’ after Brexit beyond 2020.